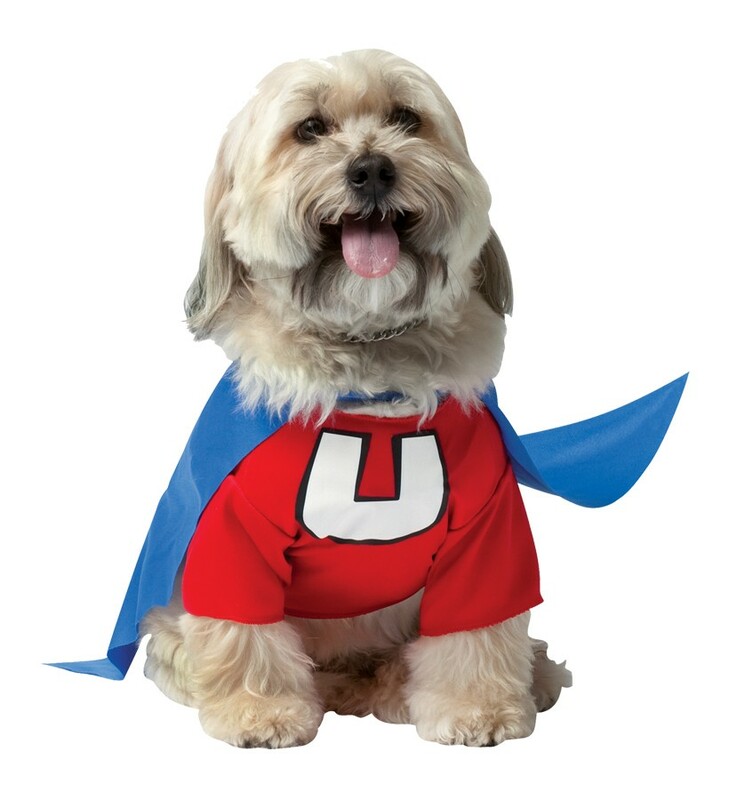 Your very own dog can be the superhero you remember from your youth! Costume comes with top and cape. 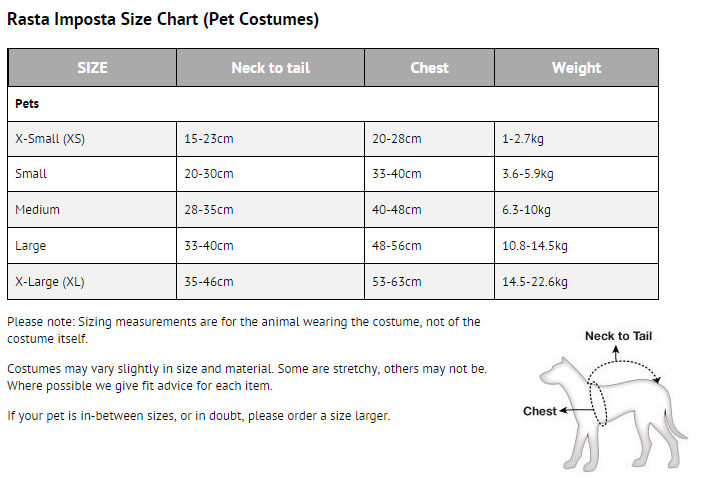 Please choose carefully, as we are unable to accept exchanges or returns for Pet Costumes once opened and tried.